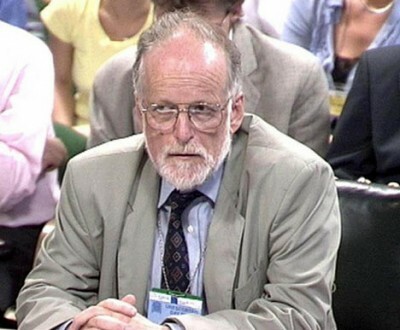 Ten Years Ago: The Death of Dr. David Kelly. Murdered on the Orders of Her Majesty’s Government? On July 18, 2003, British biowarfare expert and UN weapons inspector David Kelly was found dead on Harrowdown Hill, near his home in Oxfordshire. Ruled a suicide by the official judicial inquiry chaired by Lord Hutton, now a group of British doctors is challenging the Attorney General’s decision not to hold a coroner’s inquest into the death, citing the overlooked, suppressed and modified evidence suggesting Dr. Kelly was murdered. This is the GRTV Backgrounder on The Death of Dr. David Kelly. From the outset, there have been questions about the nature and timing of Dr. David Kelly’s death, as well as the official investigation and subsequent inquiry into the events of that day. As a UN weapons inspector who had been to Iraq dozens of times to investigate allegations of Saddam Hussein’s bioweapons stockpile, Kelly became the centre of attention in the summer of 2003 when he was revealed as the source of a controversial BBC report alleging that the Blair government had “sexed up” its dossier on Iraqi WMD. In the wake of that scandal, he was called to testify before a parliamentary committee investigating the BBC report and was aggressively questioned about his role in the scandal. He was found dead two days later. The official inquiry into that death, the Hutton Inquiry, was quickly convened and issue its report in January 2004, officially concluding that Dr. Kelly had taken his own life by a combination of slitting his left wrist and overdosing on coproxamol. Over the course of the decade, however, information has come to light suggesting that the Hutton Inquiry not only ignored key evidence in the case pointing to foul play, but that the report in fact actively covered up such evidence. The cover up into Dr. Kelly’s death seemingly began before it even started. Operation Mason, the official police investigation into Dr. Kelly’s death, started nine hours before his family even reported him missing. One of the key witnesses to the Hutton Inquiry and the man who found Dr. Kelly’s body, Detective Constable Coe, now admits that there was surprisingly little blood at the scene for a man who supposedly bled to death. Stunningly, he also admits that he lied to the inquiry in saying that there was only himself and his partner at the scene that day, now admitting that there was an unidentified third man there that many have speculated was someone with the security services. David Bartlett, the paramedic who pronounced Dr. Kelly dead at the scene, claimed that his body had obviously been moved and confirmed there was surprisingly little blood near the body, saying “I’ve seen more blood at a nosebleed than I saw there.” He also said that as soon as the body was found, the police threw a “blackout” around the scene. He was even banned from speaking to his own control room over radio, the first time that this had happened in his career. A flight log released under the Freedom of Information Act earlier this year proves that a helicopter landed at the scene just 90 minutes after the discovery of the body. The flight log, which has been heavily redacted, shows that the helicopter only remained on the ground for five minutes before taking off. To this day, the presence of the helicopter at the scene has never been officially explained and there is no indication as to what it was dropping off or picking up from the scene of the crime. In 2008, one of his colleagues and personal confidants, Mai Pederson, came forward to say that Dr. Kelly could not have killed himself in the manner suggested because he had difficulty using his right hand for strenuous activities because of a painful injury he had sustained to his right elbow. Still, the official conclusion of the Hutton Inquiry holds that Kelly used a knife in his right hand to slit his left wrist. Perhaps the most compelling evidence, however, is the testimony of a group of doctors who have come together in recent years to provide expert testimony challenging the official claim of suicide. It is their contention that the verdict of suicide does not fit with the medical evidence presented in the case, and they have formed a group in recent years to petition the UK government to convene a coroner’s inquest into the death, something that should have been done in the first place but was not. Last week I had the chance to talk to one of the doctors who has been vocal in challenging the results of the Hutton Inquiry, Dr. David Halpin. I asked him about some of the medical evidence that problematizes the official verdict that Dr. Kelly’s death was a suicide. Shortly after the group of doctors and barristers questioning Dr. Kelly’s death formed in 2009 to put pressure on the government to re-open the investigation, it was revealed that Lord Hutton had taken the extraordinary measure of classifying all of the medical records used by the inquiry, including the post-mortem findings and photographs of the body, for 70 years, a decision that not even the Ministry of Justice was able to explain the legal basis for. A widespread public backlash forced the government to release the post-mortem documents in late 2010. After reviewing the post-mortem, Dr. Michael Powers, QC, a former coroner and one of the doctors demanding an inquest, noted that there was in fact no new information revealed in the report and that the release of the documents may have been an attempt to close off the option of a coroner’s inquest into the death in the face of massive public support for the reopening of the Kelly case. Indeed, in June of 2011, UK Attorney General Dominic Grieve did refuse to open an inquest into the matter. Now, Dr. Halpin is involved in an attempt to open a judicial review into the decision not to convene an inquest on the death. Paying for the proceedings out of his own pocket, this retired orthopedic surgeon is now shouldering the brunt of the responsibility for attempting to see a proper investigation into the many discrepancies in the Dr. Kelly case. In recent months an independent grassroots campaign to raise funds for the legal battle for an inquest has sprung up, and the public continues to show great concern over this case. In my conversation, I had the chance to ask Dr. Halpin about the public’s support, and why convening an inquest into Dr. Kelly’s death is a matter of such importance.